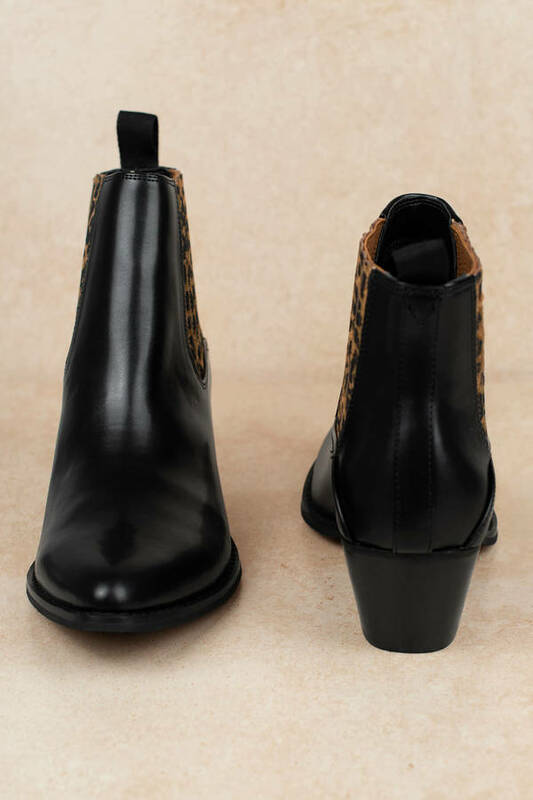 Check out Tobi's Alibi Pointed Toe Chelsea Boot Rawr. Volatile's Alibi Black Multi Pointed Toe Chelsea Boot will channel your wild side. 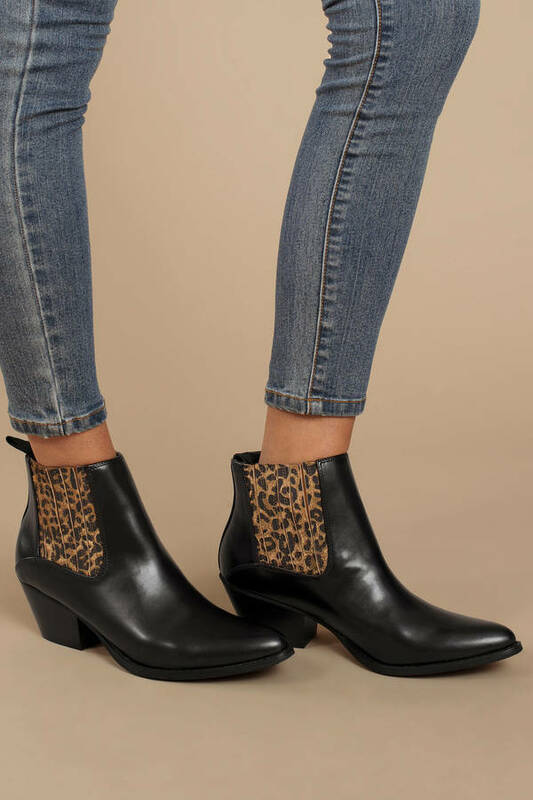 These chelsea chunky boots feature a pointed toe, block heel, elastic goring at the sides, pull tab at the heel, and gorgeous faux leather with leopard print. 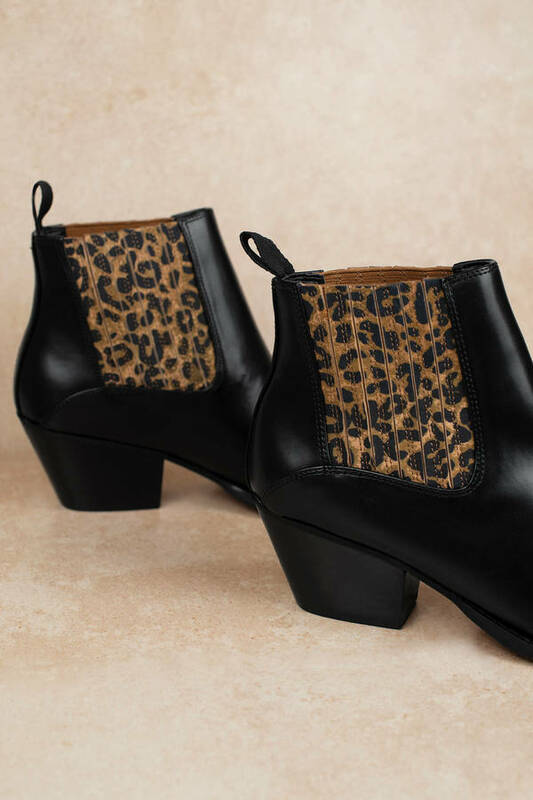 Take these animal print boots out at your next concert. Rawr. Volatile's Alibi Black Multi Pointed Toe Chelsea Boot will channel your wild side. 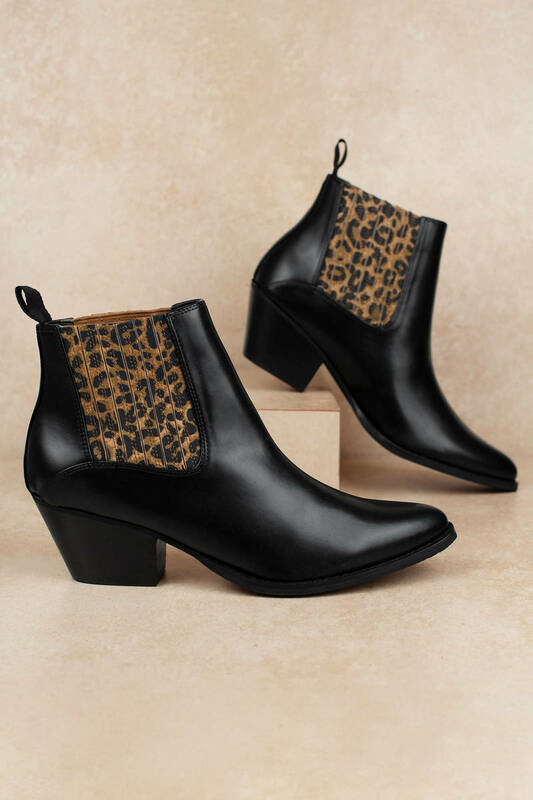 These chelsea chunky boots feature a pointed toe, block heel, elastic goring at the sides, pull tab at the heel, and gorgeous faux leather with leopard print. Take these animal print boots out at your next concert.